As a frequent traveler with a wheat allergy, I know all too well how hard it can be to find healthy snacks that are gluten-free on the road. When packing, I always include two or three gluten-free travel snacks in my carry-on bag. While some airports have a ton of healthy offerings, other airports (especially smaller ones) do not always have a very wide selection. 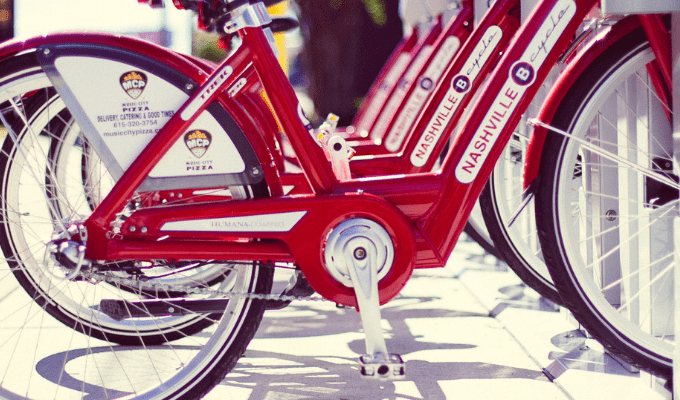 And, while heading to the grocery store when you land to pick up healthy food always sounds like a good idea, it can be hard to find the time. 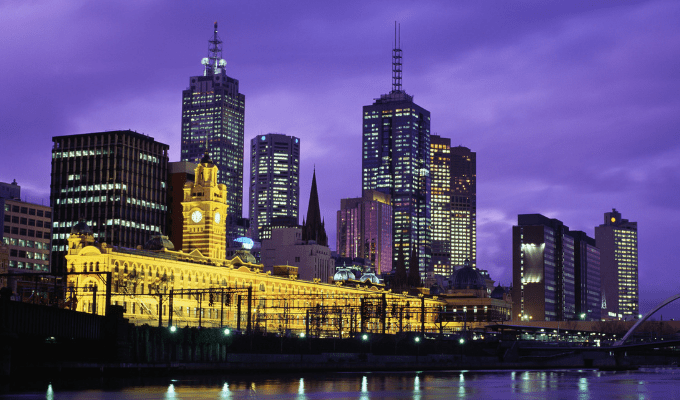 For longer trips and conferences, you can even Amazon a few boxes of gluten-free travel snacks to your hotel in advance of your arrival. When thinking about gluten-free snacks that are perfect for travel, there are a few things to consider. First, it is important to pack snacks that are not going to get crushed when thrown into your bag. Second, pack snacks that are not going to make a mess when you eat them. Third, search for snacks that are not loaded with sugar (technically, most candy is gluten-free- that does not make it an appropriate travel snack). Lastly, pack gluten-free snacks that will keep you full (snacks that are high in protein are a plus). I have compiled a list of gluten-free travel snacks to pack for your next trip! 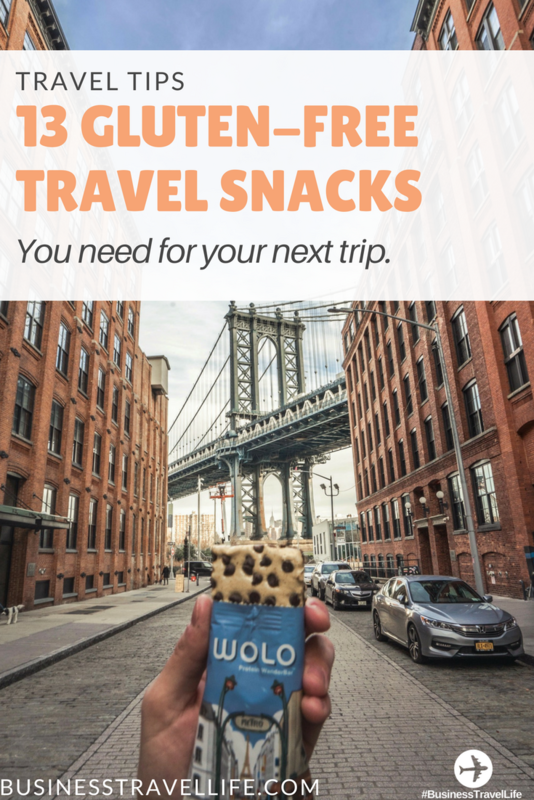 WOLO WanderBars are gluten-free (and soy-free) protein bars literally made for healthy travelers- the bar shown above is even called Cocoa Crunch Frequent Flyer! WOLO WanderBars are made with high quality, all-natural ingredients and an all-natural premium Whey and Pea Protein blend. 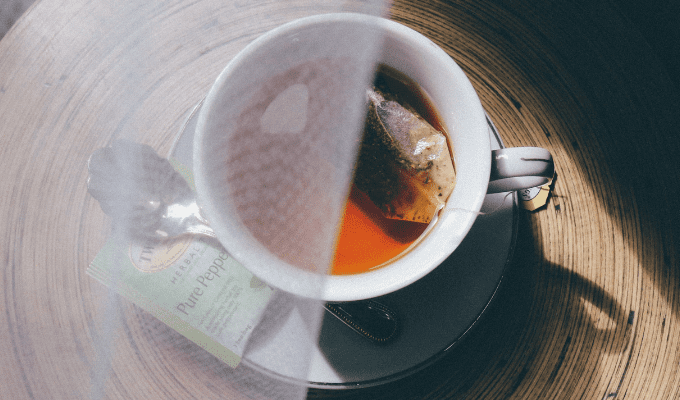 Other ingredients added to benefit travelers include Tumeric (powerful natural antioxidant decreases inflammation & improves blood flow, perfect for a long day of sitting), Flax Seed (natural appetite control) and Coconut Oil. The WOLO WanderBars also feature a special immunity blend of Zinc and Vitamin C, formulated to work with the coconut oil fight off germs and sickness and keep travelers healthy on their journey. WOLO Bars consist of two layers. The bottom layer is crispy and crunchy. The top layer is soft, velvety nougatconsist with a sprinkle premium chocolate chips. 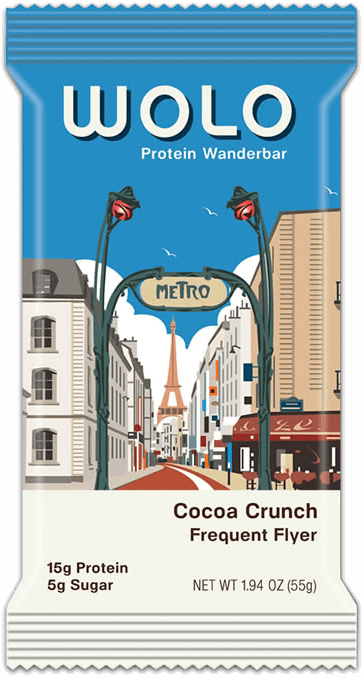 Even with the multiple layers and chocolate, the bars won’t melt or get messy, making them easy to add to your luggage. Ayoba-Yo Biltong is like beef jerky, only better. I never heard of Biltong until coming across this, but it is actually made from a South African family recipe and air-drying method that the creators’ ancestors have been using for over 400 years. Unlike beef jerky that is cooked at a low temperature and loaded with sugar and artificial flavors, Ayoba-Yo biltong is hand dried for fourteen days leaving it naturally tender, like a perfectly aged steak, and easy to chew. This is a high protein snack that is much easier to eat on the road than a protein shake. 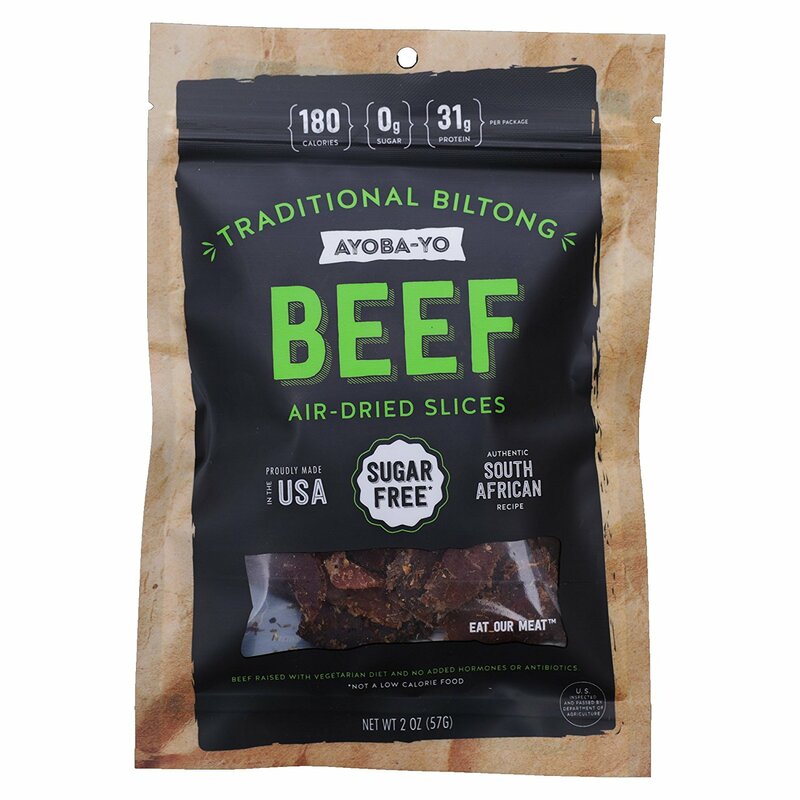 There is no sugar added (like regular jerky), making grass-fed Ayoba-Yo Bitlong a perfect paleo and gluten-free travel snack. 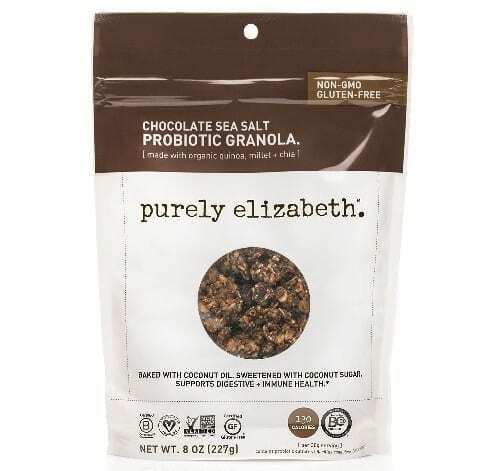 purely elizabeth Probiotic Gluten Free Granola is a great way to get your daily dose of fiber, probiotics and chocolate in one shot. The award-winning Ancient Grain Granola is made with fair trade dark chocolate chunks, coarse sea salt combine, and a probiotic boost of GanedenBC30 (a patented strain of probiotics shown to survive the baking process). Eating two servings a day of purely granola will get you maximum probiotic benefits to help support a healthy immune and digestive system. Pack some in your bag for a healthy gluten-free travel snack or take along to upgrade your hotel breakfast. Also available in Maple Walnut. 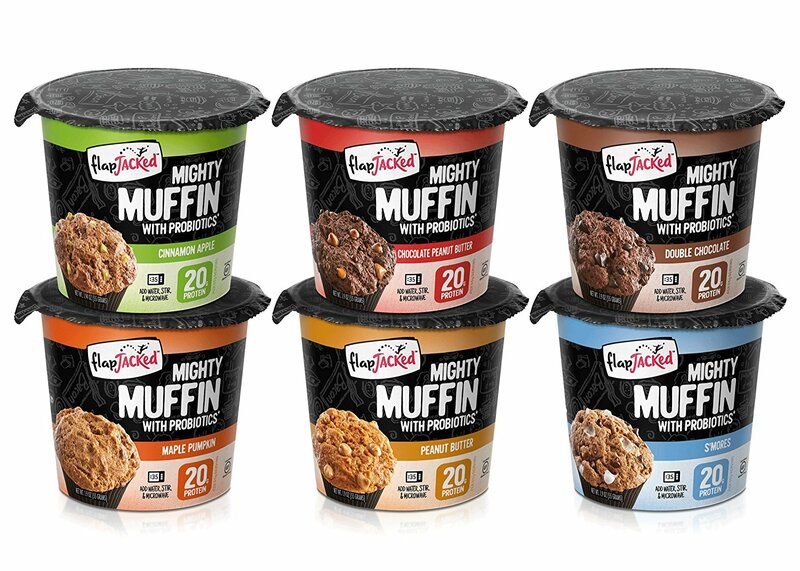 FlapJacked mighty muffins are delicious, protein-packed and high-fiber muffins developed with scrumptious flavor, balanced nutrition, and convenience in mind. These little cups will take up more room in your luggage than the other snacks we have listed, but they are a great late night or early morning snack, especially if you are someone that craves a sweet treat at night. Each cup contains 20 grams of protein and under 200-240 calories in each serving (1 container). The mighty muffins also have a natural probiotic to support your immune and digestive health. 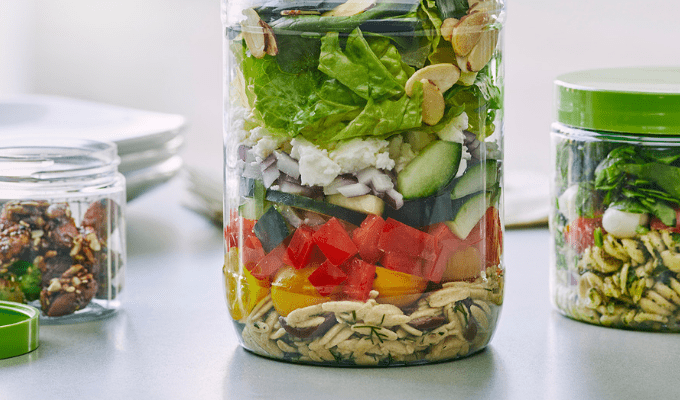 Add water, microwave for about 35 seconds and you have a delicious meal or snack on the go. 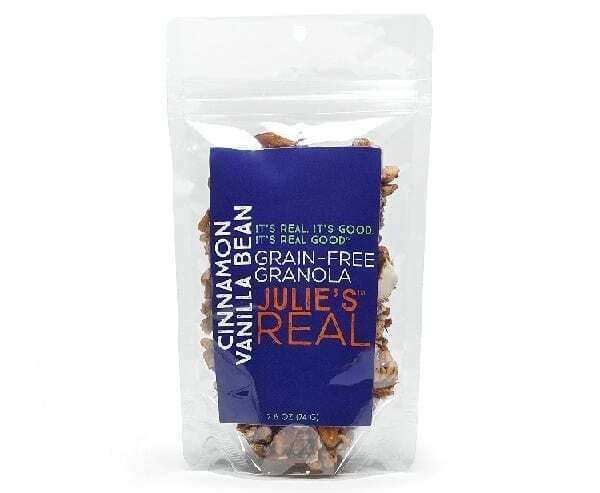 Julie’s Real Cinnamon Vanilla Bean Grain-Free Granola is less breakfast food and more on-the-go snack food. The Cinnamon Vanilla Bean Grain-Free Granola is the perfect balance of crunchy and chewy. Real vanilla beans and a touch of cinnamon give this good-for-you snack its exceptional tastiness. Julie’s Real grain-free granola is the perfect on-the-go snack that provides sustained energy for an active lifestyle. It’s delicious, convenient and truly good-for-you! 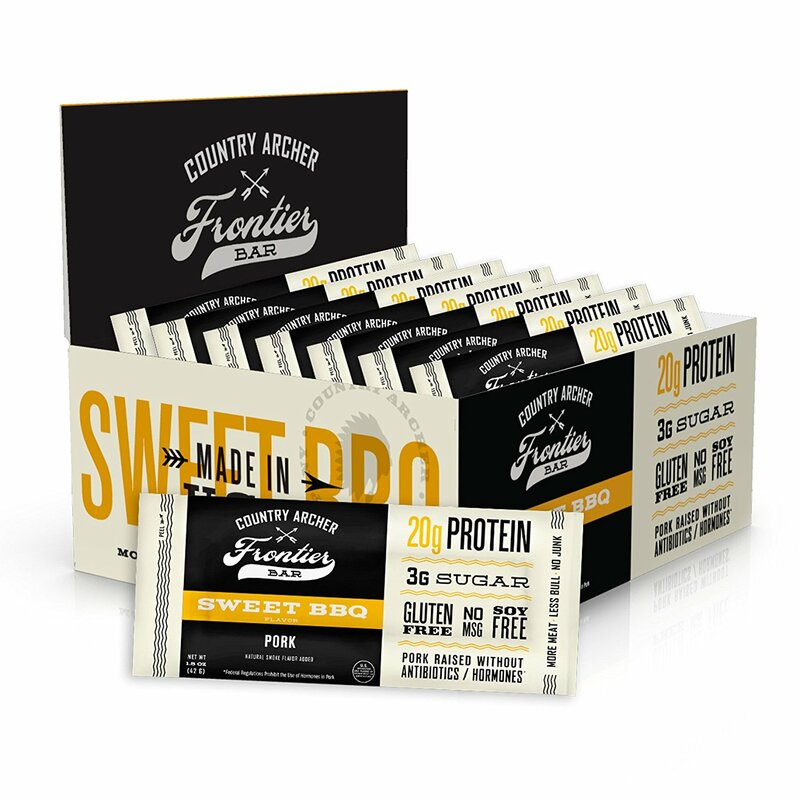 The Country Archer Gluten/Antibiotic Free Frontier Bars are available with beef, pork or turkey. These bars are made with meat that was raised without antibiotics or hormones. The Frontier Bars are free of soy-free, nitrates/nitrites, and MSG. Each bar has 110 calories and 20g of protein. SkinnyPop Microwave Popcorn Bowl is another great late night treat. We know all too well how tempting it can be to grab an unhealthy treat to take up to your hotel room after dinner. 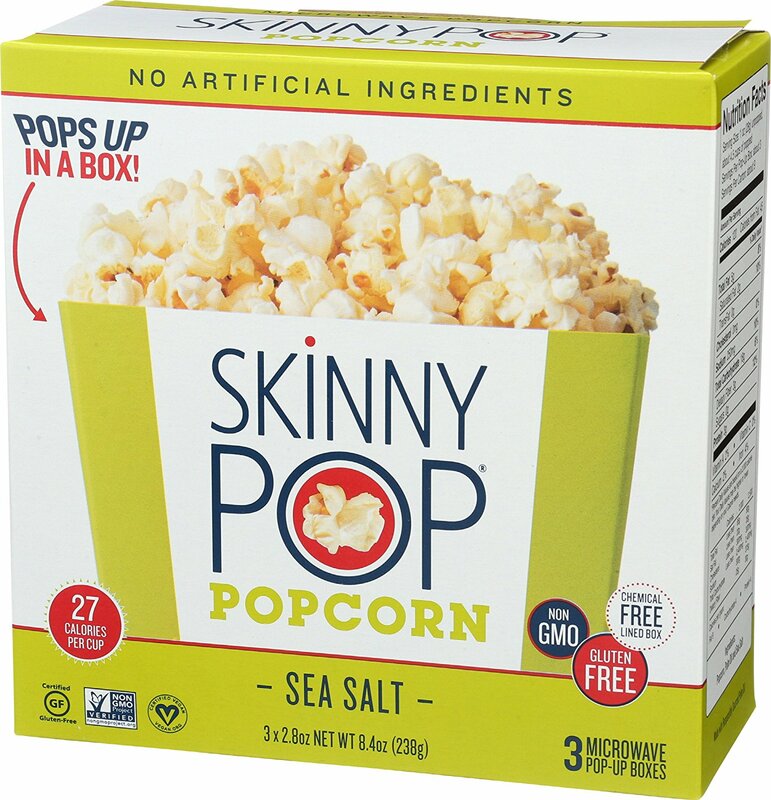 Skip the candy, skip the buttery popcorn and pack SkinnyPop. It is also important to mention, all popcorn is gluten-free. But, SkinnyPop is a healthier option for you to enjoy. If you love crunchy snacks, but don’t want them getting smashed in your luggage, consider shipping them directly to your hotel. It may not makes sense to ship a box of snacks for a two-day trip, but for longer trips, why not? If you are driving to your destination and don’t have to worry about your snacks getting smashed in your luggage, you can definitely stock up on these crunchy gluten-free snacks to take on your next trip! What are your favorite gluten-free travel snacks? Please comment below!